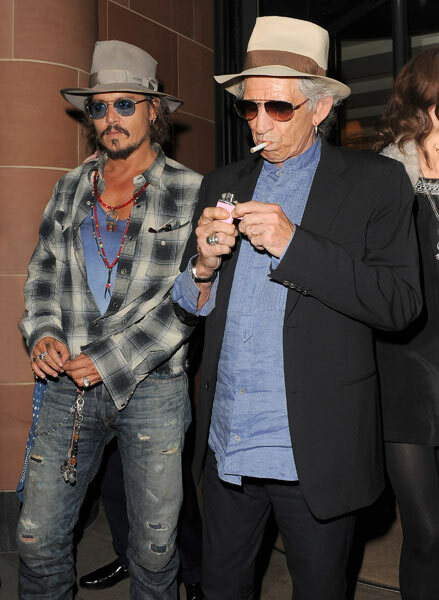 Johnny Depp and Rolling Stones guitarist Keith Richards enjoyed a night out together in London last night (September 15). The pair were spotted leaving C restaurant in Mayfair wearing similar fedora hats. Depp and Richards have been friends for more than a decade and starred alongside each other's in Pirates of the Caribbean: At World's End. 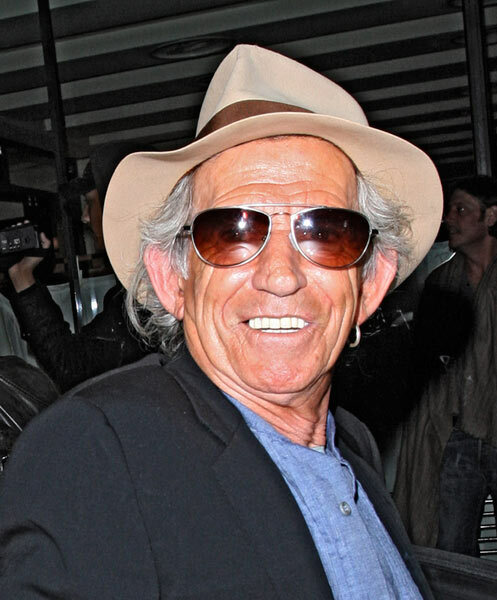 The actor has also recently been working on a documentary about the Rolling Stones guitarist. The project has yet to be given a release date. Meanwhile, Richards is due to release his autobiography, entitled Life, on October 26. The much-anticipated book lifts the lid on the star's career in the Rolling Stones, and follows the release of bandmate Ronnie Wood's own memoirs.